If you are playing Idle Heroes on iOS, sometimes you will face this super annoying problem when trying to purchase in-game items: “Your Purchase Could Not Be Completed”. So what caused this? And is there any way to fix it quickly? Let’s take a look at this article for the troubleshooting! When I started playing the game, I saw a lot of people complaining about this problem but I myself didn’t face this in a pretty long time until… the last week. I faced the exact problem and couldn’t be able to purchase anything in game for a few days until I tried some fixes. You have just signed in to a new Idle Heroes account on your device and the game doesn’t allow you to purchase items immediately. This feature is for preventing hacks. This is the first time you used this Apple ID on this device and you are using iTunes balance to purchase items. Your Credit Card might got locked. Your account has some fraud activities. 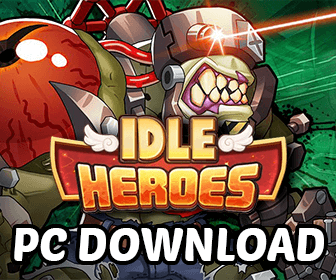 How To Fix “Your Purchase Could Not Be Completed” While Purchasing Items in Idle Heroes? Here are some of the easiest ways to fix this problem. If a solution doesn’t work for you, simply move to the next one! 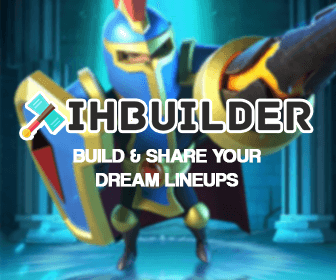 Try to Sign In with another Idle Heroes ID and then Switch to the previous account. Try to Sign In with the previous Apple ID and then Sign In with the Apple ID you want to use again. Remove the game completely and reinstall it with the new Apple ID you are using to purchase items. Contact the Apple Support at here to see what really caused the problem If all of the fix above didn’t work. As far as I can say, for most of the time, the first two solution work. I asked a lot of people to tried those steps and they really fixed the problem. If the first three do not work for you, I strongly recommend you call your bank first or chat with the Apple Support for more details. Sometimes, it’s the problem from the Apple side, not the bank. Hopefully you have found this article helpful.